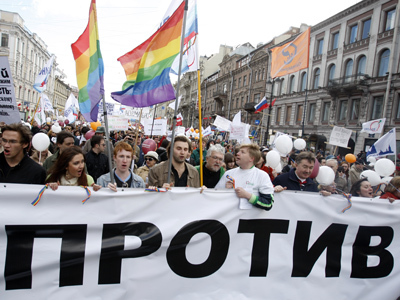 Gay activist Nikolay Alekseyev has appealed the St. Petersburg law on banning gay propaganda. He says that the law is discriminatory and violates the city’s Charter. 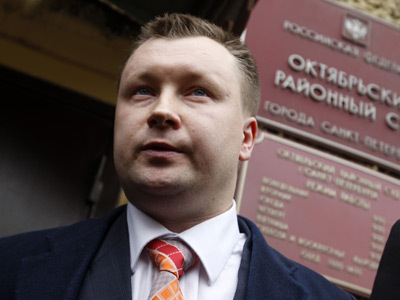 ­The plaintiff, the founder and leader of the GayRussia.ru NGO which fights for the rights of sexual minorities, is convinced the law contradicts the provision stipulating that local authorities are obliged to assure “national equality, freedom of conscience and thought” in the city. 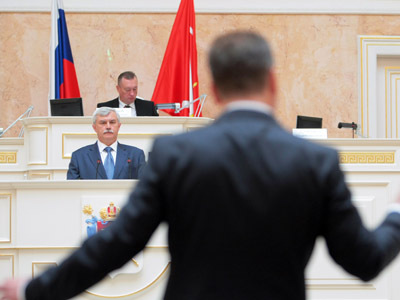 Alekseyev outlined he is ready to go to the Constitutional Court and the European Court of Human Rights in case of an “unsatisfactory” ruling of the lower instance. 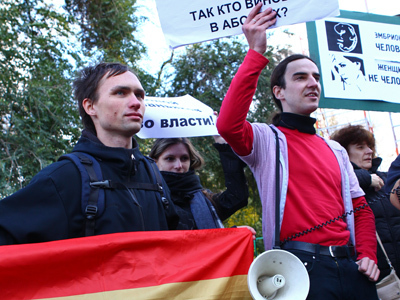 Alekseyev’s fine became the first-ever application of the law against the propaganda of homosexuality, transgender and pedophilia, which was approved and signed into force by St. Petersburg authorities at the end of February.